There are lots of hybrid mobile app frameworks. So, it is hard to decide what platform should you use for building your mobile app. 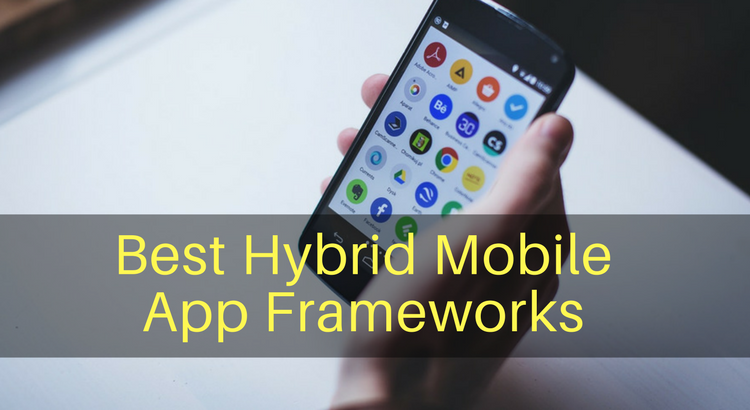 In this article, I am listing 5 best Hybrid Mobile App Frameworks. You can use any of these and start learning the mobile app development. Ionic Framework is an open source SDK for building hybrid mobile apps. The framework is built on the top of Angular.js and Apache Cordova. It offers set of tools and services for building mobile apps using HTML5, Sass, and CSS. The framework is completely free and will remain free. You have several JS APIs to access native device features like Bluetooth, fingerprint, camera HealthKit, Finger Print Auth, and more. Intel XDK is also a good framework for building cross-platform apps for popular mobile platforms. It offers a range of tools for development, emulation, testing, debugging and publishing the app. The recent changes on the platform also bring the capabilities from HTML5 mobile app building. They have enabled software development capabilities for Node.JS-based, onboard, IoT apps too. With available native plugins, you can add access device components to make your app feature rich and interesting. You also have demo apps to start with. You can use the demo apps to see and learn the basic app development. Onsen UI is a new framework but worth to note. It is also an open source framework for building your hybrid apps. It comes with ready to use components, responsive out of the box that allows you to build mobile quickly. You just need the knowledge of HTML5 and JS. You can also use PhoneGap and Cordova plugins. I personally use Ionic for app development but I have also tried others in this list. You can select any of these and start working on mobile apps. If you face any issue, you can always leave a comment and I will surely answer you. I will also try to post tutorials of these mobile app development platforms.